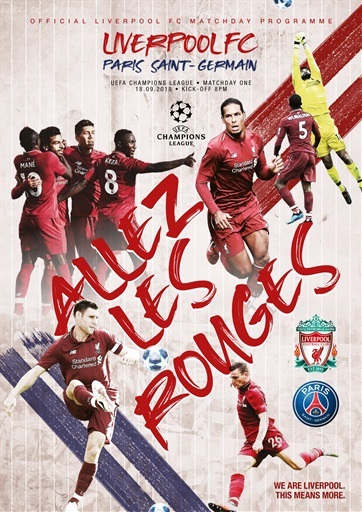 Jürgen Klopp says Liverpool supporters need no instructions as to their role on another big European night at Anfield as he previews this UEFA Champions League Group C clash against Paris Saint-Germain in the official matchday programme. Also inside this bumper 100-page issue is the captain's matchday column, as well as interviews with Alisson Becker and Alberto Moreno. We preview both this season's UEFA Champions League group stage as well as the UEFA Youth League, look back at the last time these two sides met, and recall memorable triumphs against French opposition in The Big Read. All this and much more in the official matchday programme, on sale now.